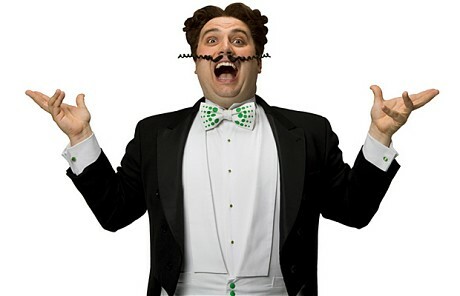 Go compare – Which advice to take? Last week saw the launch of the new Which? university comparison website. Trailed in the White Paper n June 2011 it offers yet more information to prospective students in what is already a very crowded landscape. The Which? University website enables comparisons of courses by students by price, A-level entry requirements and graduate starting salaries. There are also ranking lists, based on a poll of students, which rate universities for creativity, political action, nightlife and sportiness, among other things. Loughborough University is the top university for sports, while the universities of Northumbria and Newcastle, and the University of Liverpool, are judged to have the best nightlife, according to a poll of almost 10,000 students by market research firm YouthSight. The School for Oriental and African Studies, University of London, ranks the highest for having the strongest political scene. Students at the University of Oxford are the most happy, based on scores from the 2011 National Student Survey – though the ancient university was ranked equal in this respect with Neath Port Talbot College and Ruskin College, an adult education college in Oxford. Graduates from the London School of Economics had the highest average starting salary, beginning on £28,968, the site says. The site was launched at Westminster College by David Willetts, the universities and science minister and Liam Burns, president of the National Union of Students. “Choosing the right course and the right university is an important, and often daunting, decision,” said Mr Willetts. Which? executive director Richard Lloyd said: “It’s worrying how many people are making one of the biggest decisions of their lives without proper guidance or advice. I’d agree with this point – there really isn’t enough proper guidance and advice available for prospective students. There is however more than enough information and data out there. Before Which? University arrived there was already a similar site doing a similar job (although it now seems to have been suspended) and bestcourse4me.com offering similar information. Beyond this we have all of the main UK league tables and universities’ own websites and prospectuses to draw on for comparative information. Not to mention the National Student Survey and the new Key Information Set (KIS). There is no information deficit. As noted in a previous post about the KIS there is huge amount of information available for prospective students. The Minister and other partners in the Which? enterprise, including the National Union of Students, demonstrate a touching faith in the power of information and data and popularity polls to help students make the right decisions. But really we don’t need more course comparison sites. We don’t need more information. Students need high quality professional advice and guidance to make sense of this information and to make the right choices for them. That is the real deficit. Which? University is not the silver bullet.